Just because it’s January, doesn’t mean we can’t enjoy some treats. I know that some of us think that January is supposed to be about cleaning the slate and eating as healthy as possible, but I’m here to tell you that it’s important to have a balance in everything we do. 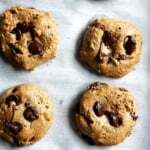 So with that said, I’d like to offer you these DAMN GOOD PALEO CHOCOLATE CHUNK TAHINI COOKIES. They’re gluten free, vegan, grain free and absolutely delicious. What more could you want? Now I don’t know about you but I’m a firm believer that chocolate chunks are much better than chocolate chips. They melt into gorgeous puddles and each bite contains the perfect amount of sweetness. 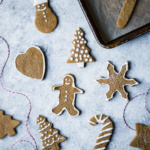 The ingredients in these cookies are super simple too! Tahini: if you haven’t had tahini yet, then what are you waiting for? It’s just ground sesame seeds. My favorite brand is Soom foods, but I also love using the 365 brand from Whole Foods. I would not recommend the Trader Joe’s tahini as it’s much thicker than most tahinis. Egg or flax egg: I give you the option to use either in this recipe! 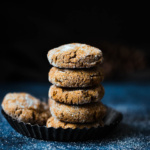 Coconut sugar: I love using coconut sugar in recipes because it’s an unrefined sugar replacement for brown sugar or regular sugar in most recipes. Coconut oil, melted butter or ghee: You can use any of these in this recipe. Personally I love using coconut oil. Almond flour: My favorite almond flour is Bob’s Red Mill. I prefer to use the blanched super fine almond flour. Coconut Flour: I like using coconut flour in my paleo recipes because it helps to thicken the dough. You don’t need much. Another option instead of coconut flour might be oat flour; I haven’t tried it, but please leave a comment if you do. Dark Chocolate: Personally I love using a 72% dark chocolate in this recipe. I recommend coarsely chopping the chocolate so that it’s not overly small. These cookies are fabulous. Enjoy them warm with a glass of almond, cashew or coconut milk. You’re going to love them! 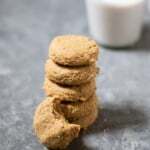 If you make these tahini cookies, please let me know by leaving a comment and rating the recipe below. You can also use the hashtag #ambitiouskitchen on Instagram so I can see your creations! xo. 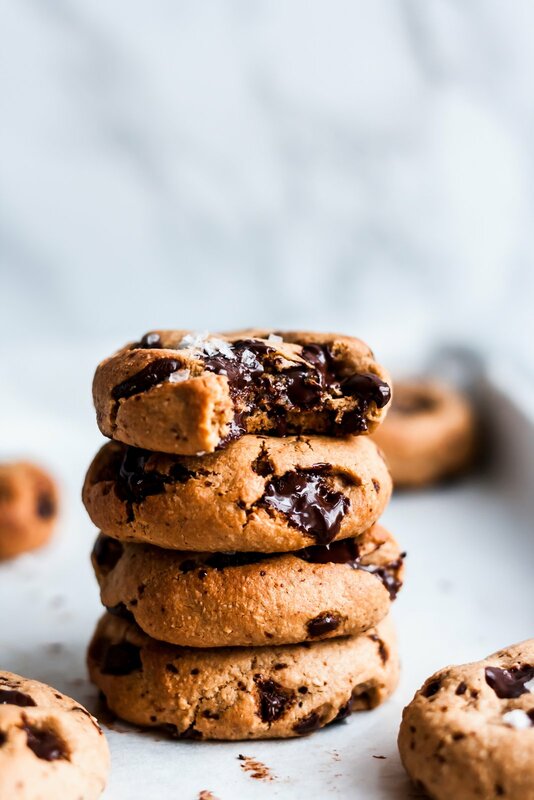 Damn good paleo chocolate chunk tahini cookies with puddles of dark chocolate in every bite. 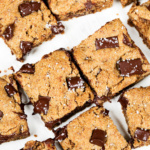 They're perfectly sweet, chewy, gluten and grain free! In a large bowl, mix together the following: egg, coconut sugar, tahini, melted and cooled coconut oil and vanilla extract until smooth. Next add the dry ingredients: almond flour, coconut flour, baking soda and salt. Mix until a cookie dough consistency forms, then fold in the chocolate chunks. Let dough sit for 5 minutes before rolling into balls. Grab about 1 heaping tablespoon of dough with your hands and roll into a ball as best you can. Place ball on cookie sheet and BARELY flatten the top of dough a bit with the palm of your hand. Bake for 9-11 minutes until edges are just slightly golden. We want to slightly underbake these so they stay gooey. Once done baking, immediately sprinkle with Maldon salt. Cool on cookie sheet for at least 5-10 minutes before removing from pan. Makes 10-12 cookies. To make vegan: Feel free to use 1 flax egg (1 tablespoon flaxseed meal + 3 tablespoons water) instead of an egg. Let the mixture sit for 5 minutes before using. Also make sure you are using a vegan chocolate. 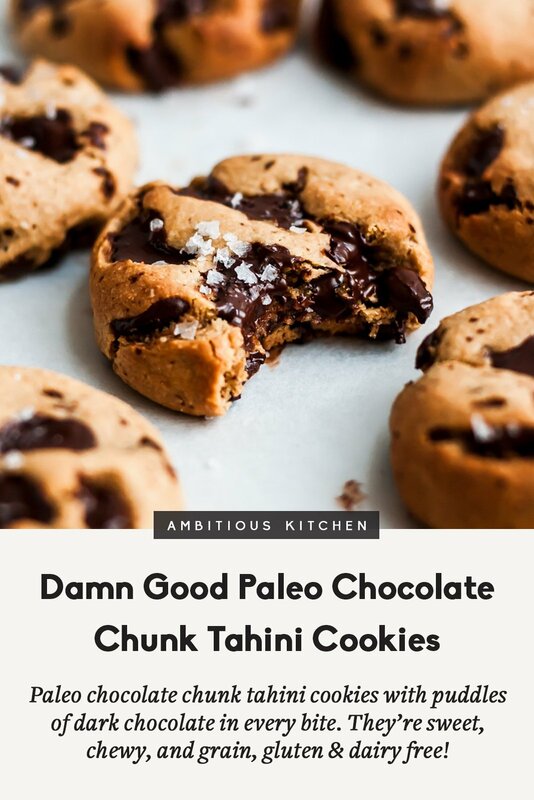 52 Responses to "Damn Good Paleo Chocolate Chunk Tahini Cookies"
Oh, I’ve made these (when you sent out in your newsletter). They are DAMN good!! Always love your paleo cookie recipes. Hey Lauren! You could definitely try it. Perhaps use 1/3 cup instead! We’re not Paleo, would you recommend suubbing regular flour for almond flour, or cake flour? These look Awesome and would live to make if I don’t have to buy a bunch of special ingredients just for this recipe. Hi! My husband is allergic to almonds, what flour can I use to substitute it? Hazelnut flour or cashew flour should work well! Napkin please, I’m drooling all over myself. These cookies will do that! These are STUPID good! Tahini for the win! 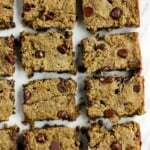 Yay, a recipe that can be made with a flax egg! OMG! 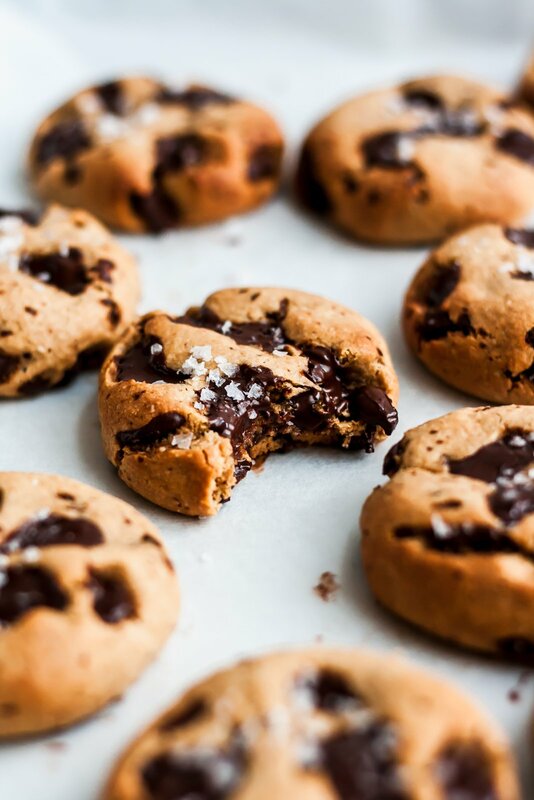 These cookies look absolutely divine otherwise with the chocolate chunks and sea salt. Tahini, almond flour, and the coconut sugar definitely are some of the best ingredients to work with! You’ll have to give these a try! So good. I’m really curious what kind of baking sheet is pictured above. Thanks for the recipe. I can’t wait to try it. It’s about a 9″x13″. Hope you love these! Tried these with oat flour and they came out amazing! SO good! Thank you! I have unsweetened tahini, I have seen other types. Can I use unsweetened? Yes I always use unsweetened like this kind! What a fabulous recipe to get through arctic vortex. I used Enjoy Life chocolate chunks as the one ingredient I was out of was a chocolate bar (only had 100% dark chocolate)! Hi, I don’t have tahini at the moment and am wondering if subbing almond butter would work? Thanks! Omg these were amazing! I’m gf, vegan, and cane sugar free (food allergies 🙁 ) and these made me sooo happy! The texture and sweetness were spot on. I brought them into work and they were a huge hit with everyone. Thanks so much! Just checked my pantry and don’t have coconut flour. I do have some rice flour. Can I substitute? Thanks! I haven’t tested these with rice flour, only coconut flour so I’m not sure how they would turn out. I made this subbing oatmeal flour for coconut and almond butter for tahini. They flattened like regular cookies but tasted great!! Swapping the flours will definitely change the texture, but glad you enjoyed them! Delicious! They just came out of the oven and even better than I expected. I haven’t tried it, but I think it would be delicious, just beware that almond butter and tahini have different consistencies so be sure to use a drippy all natural almond butter. I’m trying to cut down on sugar. How do you think monk fruit packets would work? OMG Monique you tahini queenie, these were AMAZING. Jeff and I are gonna polish off the batch in like 2 days! Hi! Yes, hulled is best. you are right, great cookies, very pillowy, I would make them again and again! sugar balance is great, not super sweet with the 72% cacao bar. These are really good!! I could seriously eat the whole batch by myself! 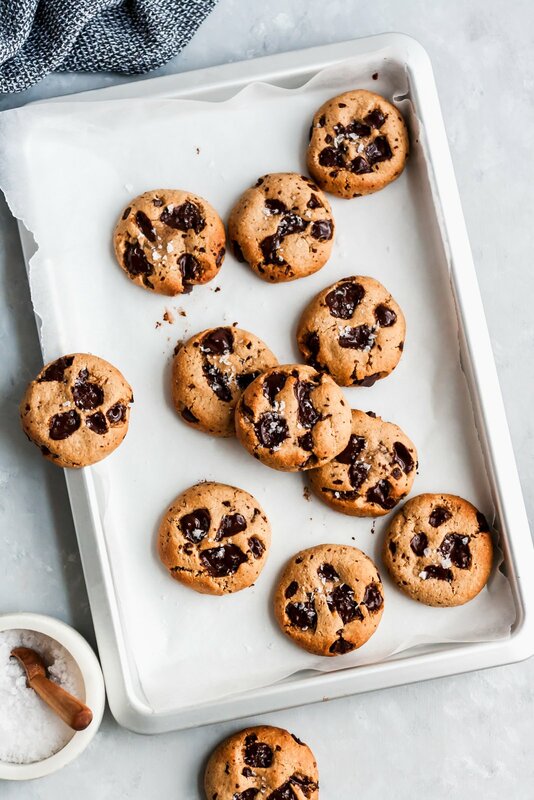 These cookies are quick,easy and absolutely OUT OF THIS WORLD! Yum!